The association of enteroviruses with myocardial disease has been investigated extensively by molecular biological techniques to detect viral RNA, but remains controversial. 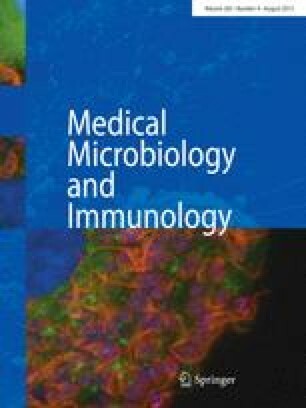 This retrospective study investigated the involvement of enterovirus in myocarditis or dilated cardiomyopathy (DCM) by detection of viral antigens in myocardial samples from a new patient series using an optimized immunohistochemical technique. Formalin-fixed, paraffin-embedded biopsy, autopsy or explanted myocardial tissue samples were obtained from 136 subjects. These comprised histologically proven cases of acute fatal myocarditis (n=10), DCM (n=89, including 10 patients with healing/borderline myocarditis) and a comparison group of samples from 37 unused donor hearts and cases with other conditions. A monoclonal antibody 5-D8/1 directed against a conserved, non-conformational epitope in capsid protein VP1 was employed for broad detection of different enterovirus serotypes. Investigations were performed blindly. Histological sections from 7 of 10 fatal myocarditis cases, 47 of 89 patients (52.8%) with DCM were positive for the viral capsid protein VP1 by immunohistochemical staining. Consecutive sections of positive samples were negative when the antibody was omitted or replaced with subclass- and concentration-matched normal mouse IgG. In contrast, only 3 of 37 samples (8.1%) in the comparison group were positive (Yates corrected χ2=19.99, P<0.001: odds ratio =12.68). VP1 staining was distributed in individual or grouped myofibers and localized in the cytoplasm of myocytes. In some cases, VP1 was detected in only a few myofibers within an entire section. These results provide further evidence of enterovirus involvement in a high proportion of DCM cases and demonstrate that VP1 is present in disease stages from acute myocarditis, healing myocarditis to end-stage DCM requiring cardiac transplantation, indicating translation of viral protein during persistent enterovirus infection.